Identify all potential sources of electrical supply to the equipment. Properly interrupt all load currents and be sure that all disconnecting devices are in the open state. Visually confirm that the disconnects are in the open state, where possible. Carefully release all stored electrical energy. Carefully release or properly constrain stored mechanical energy. Apply lockout/tagout devices where applicable, following company procedures. Use a well-maintained and properly rated voltage meter to test each conductor of the supply circuit to verify disconnection. Specifically check the conductors on which work is to be performed. Ground any sources of induced or stored electoral energy, i.e., capacitors. Only after completing each of these eight steps is the area considered a Safe Work Condition and work may proceed without special Personal Protective Equipment (PPE). If work must be performed with equipment in an energized state, Article 130 details the assessment of the arc flash risk and the PPE required. 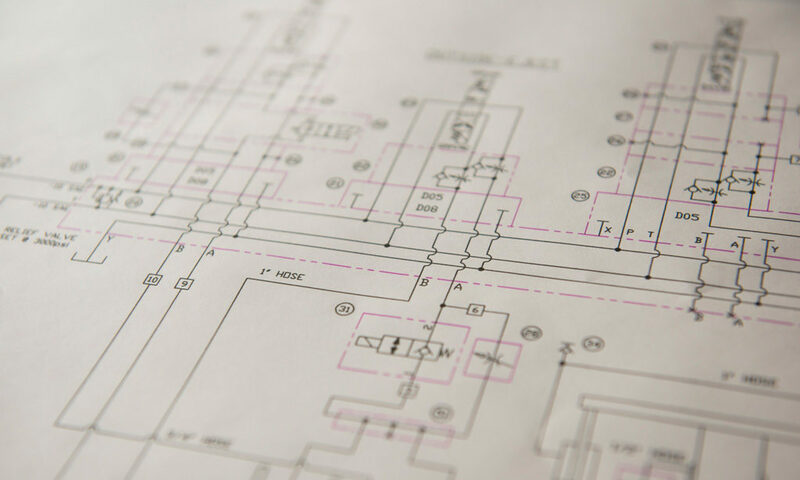 You may be asking: “What does this really mean, and what is that device that is going to comply easier and faster?” In basic terms these eight steps mean that you must visually and verifiably prove that an electrical supply is not present before beginning work. Everyone does this in an instinctive manner with appliances in their home by simply unplugging the power cord. If the plug is not in the wall, there is clearly no power within the appliance (with the exception of energy storage devices, but that muddies the point at this moment). So, the obvious solution is: unplug it! Clearly the plug on your household appliances was never intended for large industrial equipment or harsh industrial environments. Specialized plugs and receptacles have existed for this purpose for decades. 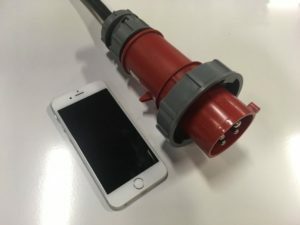 One of the most common high current devices of this type is called a “pin and sleeve” connector, and they can be rated from a few to a few hundreds amps. 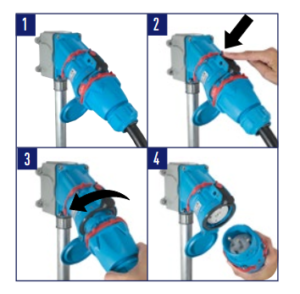 Pin and sleeve connectors have two major weaknesses: 1) they are NOT disconnect rated, and 2) they are often quite difficult to operate—both connecting and disconnecting. When considering (1) in context of the NPFA 70E guidelines for Establishing an Electrically Safe Work Condition, it means that your equipment must also have a disconnect upstream of the plug and receptacle. And, because it is not disconnect rated, you must visually verify that the disconnect is open before disconnecting the pin and sleeve connector. To visually verify a disconnect is open, you will often be required to open the disconnect enclosure, but to do that you must be wearing proper PPE! 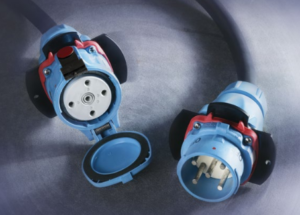 Enter the Meltric Decontactor switch-rated plugs and receptacles. Visibly similar to other plugs and receptacles, Meltric’s Decontactors have one major advantage: they can be disconnected under load while meeting the NPFA 70E definition of “Normal Operation,” meaning that no PPE is required! They are both UL and CSA listed as a Branch Circuit Disconnect, so you no longer need both the plug/receptacle AND a disconnect. With the press of one button the current is interrupted, and the device is visibly opened. No pulling, wrestling or cursing required to separate the plug from the receptacle. Once the disconnect button is pressed, spring force separates the two halves. Once separated, the Decontactor provides visual proof of deenergization. Because the device is “unplugged,” no voltage testing is required! Lockout/tagout provisions on both the plug and receptacle (optional) prevent unwanted energization and provide for compliance with your company’s policies. Meltric’s Decontactors are great for welders, compressors and anything mobile within your facility. They are rated for up to 200 amps or 75 hp. They are designed to withstand outdoor and washdown environments (NEMA 4X / IP69k). They can help you maintain safety compliance while also reducing the time required to replace mission critical equipment when downtime is expensive. Check out Meltric’s Training Website for many great videos on these and all of Meltric’s products.